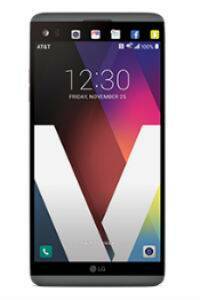 LG V20 was launched in September 2016. The LG V20 features a 5.7-inch QHD IPS Quantum display with 2560 x 1440 pixels resolution (513 ppi). LG V20 comes with 4GB RAM and the 64GB storage version is powered by Qualcomm Snapdragon 820 processor. LG V20 runs Android 7.0 Nougat with company’s UX 5.0+. LG V20 features a 16MP+ 8megapixel dual rear camera with f/1.8 aperture. The 8MP has a 135-degree lens and the 16MP camera comes with the 175-degree lens. The rear video camera records video with higher-quality sound, slow-motion video recordings are at 120FPS. Other features of the camera include a tracking focus, zoom out, zoom in, pop-out picture mode, film effect, manual mode, burst shot, panorama mode, HDR options, multiple shutter options, camera and video zoom, multi-view, quick shot and fingerprint scanner. The front camera is 5 megapixel. LG V20has a removable 3,200mAh battery. Connectivity options include are: Wi-Fi 802.11 a/b/g/n/ac, Wi-Fi Direct, Wi-Fi calling and Bluetooth version 4.2. Other features of the LGV20 are HiFi Quad Dac, audio zoom 2.0, wind noise filter, HD audio recorder and quick remote. Dimensions of the LG V20 are: 159.7 x 78.1 x 7.6 mm. LG V20 comes in three colour options: Titan, Silver and Pink. The LG V20 is priced at Rs 54,999. LG V20 is available in one version in India.